Can't make it? View Rushdie's and Heaney's archives at the Literature and Poetry Collections at Manuscript, Archive, and Rare Book Library at Emory. 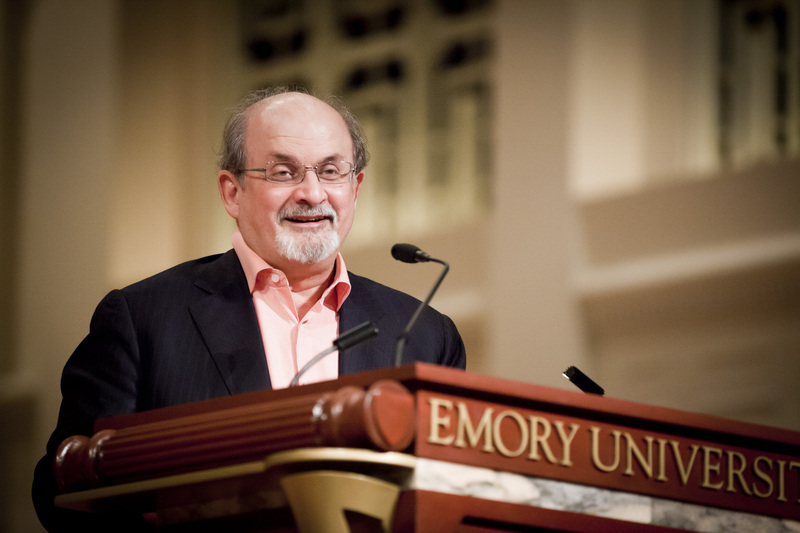 Acclaimed author Salman Rushdie returns to Emory University for two public events during his February visit as University Distinguished Professor. Tickets are now available for Rushdie's first public appearance, "Wonder Tales," presented by the Emory College of Arts and Sciences and the Office of the Provost on Sunday, Feb. 16 at 5 p.m. in Glenn Memorial Auditorium. Tickets for this event are sold out. For more information, visit www.emory.edu/events/rushdie. For the event, Rushdie returns to the roots of his love of literature with a lecture about the so-called "wonder tales" of the East — the Mahabharata, Ramayana, Panchatantra, Katha-Sarit-Sagar, and Arabian Nights stories — which remain living, profound metaphors through which people view and understand their experience. Rushdie also will discuss current and emerging writers in India during the 5th Annual India Summit, Monday, Feb. 17 from 4 to 5 p.m. in Goizueta Business School's Boynton Auditorium (room E130). During a conversation on "Contemporary Literature in India," Rushdie will be joined by moderator Paul Courtright, professor of religion and Asian studies at Emory, to explore the cultural, political and global influences of contemporary Indian literature. A two-day pass for the summit, which runs Feb. 17 and 18, is $25; a one-day pass is $15. Tickets include entry into all keynotes and sessions, a catered lunch and refreshments. To register, or for more information, visit www.halleinstitute.emory.edu/india-summit/.